Home » Emergency Planning: It Could Happen…Are You Prepared? The unthinkable! The unspeakable! The unfortunate! We all cringe at the news we see every day on the television. Natural disasters, fires, medical emergencies, shootings…all too often and all too tragic. The best stories are the ones that have a wonderful ending. Someone on a plane suffers a medical emergency and the attendants rush to action and save them. A schoolteacher leads her children to safety as a fire breaks out. EMS personnel respond and save a man trapped after a hurricane. What do all these happy stories have in common? The individuals who saved lives were trained and prepared to respond to an emergency. At Health clubs, gyms and spas, your staff are accountable to serving and keeping members and invited guests safe. In fact, their reputation and business depends on it. But does your staff training go beyond human resource policies and customer service to address emergency preparation? If the answer is “no,” it’s not too late to start. Use these simple steps, engage the internal and external resources you need and you can develop a top-notch emergency plan that can have your team ready to respond. It is important to begin by setting the protocols for emergency action plans. Many resources are available via other clubs you may interact with, industry associations, your insurance broker or carrier, and online. You can also consult with local fire, police and EMS as well. Plans should detail step-by-step protocols, identify responsibilities for each staff member, and include facility diagrams along with appropriate emergency contact information. How you house the information is up to you. Many clubs still use the red binder approach with tabs for various emergencies while others use electronic means. Just make sure the format is readable and is easy to use. This is the education phase of execution. An emergency action plan doesn’t do any good if it sits on a shelf, so make sure it is distributed and accessible. You will need to have varying times at which you go over and review the plan; both as part of on-boarding new employees as well as ramping up for peak seasons and intermittently throughout the year. Staff meetings can have rotating topics for review and discussion. You can also send out occasional email blasts or include a bulletin in with paychecks to remind your team of some important keys to success in this arena. Creating and communicating the plan are the initial crucial steps. However, knowing the plan and truly being ready to put it into action should the need arise may be two distinct things. I have long been a big proponent of implementing mock drills to practice or even test your staff. These can be scheduled or unscheduled; announced or unannounced and after hours or during the actual day. You will need to assess what is best for your team and your members. It is always good to periodically assess your plans and protocols and gain additional insight from your staff. Perhaps you have remodeled your facility, affecting your egress points. New emergencies may have arisen. Industry and safety experts may have new recommended protocols or perhaps your staff recognized a flaw in the plan as part of a mock drill. It is also always a great idea to step back and evaluate what went right or wrong in the event your protocols have been put to the test in a real emergency. Unfortunately, emergencies can strike a health club or spa at any time and unexpectedly. 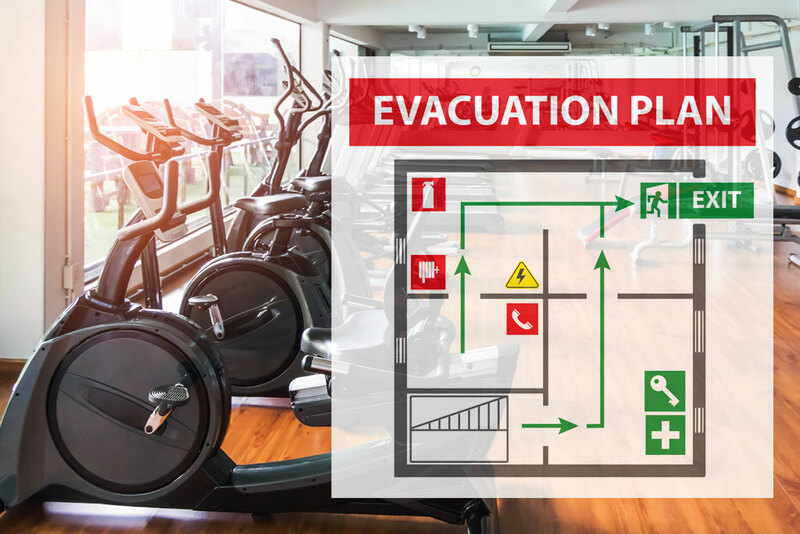 Having a plan, communicating the plan and practicing that plan can really go a long way in preparing your club to deal with these situations; helping you to provide the safest place you can for your valued members, guests and staff. Brian Rawlings is Practice Leader for Venture Programs and has spent his career working in fitness and insurance. At Venture, Rawlings is leading the new FITLIFE™program, which insures fitness, wellness and spa facilities. He can be reached at brawlings@ventureprograms.com.